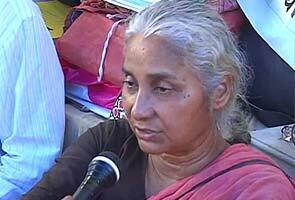 Mumbai: Social activist Medha Patkar, who was protesting the eviction of slum-dwellers from Golibar in Mumbai's suburban Khar ended her fast on the ninth day today after the Maharashtra government agreed to her demands. "Medha has ended her fast after Collector Nirmal Deshmukh came up with a notification this afternoon. 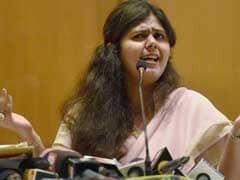 They have agreed to her demands," Madhuresh Kumar, a member of National Alliance of Peoples' Movement (NAPM) and Patkar's associate said. She was on a fast from May 20 in Golibar slum area of Mumbai, where 140 acre of land has been handed to a private builder. The activist claims that signatures of slum dwellers were forged on letters of consent given for a proposed slum-rehabilitation project. Medha wants the removal of Maharashtra Slum Areas Act, 1971, clause 3K that allows the state government to take over land without requiring consent of slum dwellers, investigation into all the projects sanctioned under this section and the implementation of Rajiv Awas Yojana in Mumbai. "The government has agreed to constitute two new joint committees with representatives of the civil society. One would look into Ganesh Kripa Housing society issue and would submit its report on June 15," Kumar said. The second committee would investigate 15 slum areas where 3K clause of Maharashtra Slum Act has been used and submit a report in four months, he said. On May 20, when the homes were being demolished in Ganesh Krupa Society, she was detained on her way to the site of demolition.